Summer Lee and Sara Innamorato both unseated longtime Democratic incumbents, and Elizabeth Fiedler and Kristin Seale. Two of the alarming extremist views held by the Democratic Socialists are their desires to destroy America’s free market economy and to destroy the Jewish State of Israel. The goal of the DSA is to move the role of companies from one of profit to one which is for the betterment of society. Under the DSA, companies will become unionized, just in time for technology and globalization to sweep America back into the 1800’s. The DSA does not want private shareholders to decide the direction of companies; it demands that companies’ workers and consumers make those decisions. Corporate workers get to do this by getting free shares in their employer, taken from current shareholders. A beautiful wealth transference akin to highway robbery. Somehow, the DSA imagines that companies and shareholders have no regard for their workers, customers or society. It is as if companies today do not operate in a competitive landscape for customers and workers. The DSA’s naive view of corporate America makes a James Bond villain look tame. In the near-term, the DSA wants to regulate private companies as much as possible; more and more government oversight, demands and regulations. A near-term goal may be to close the “pay gap” between the highest and lowest paid employee in a company to be capped (if an entry-level job pays $30,000, then the Socialists will cap the CEO pay at say 50x of that level, or $1.5 million). In the longer term, the Socialists will take over the companies completely. The DSA view of the future is the forced allocation of unpopular jobs to everyone. A check-out clerk at Walmart would no longer be someone without a high school diploma or finite skills, but will include college graduates who must “volunteer” their time behind the cash register. Makes perfect sense… only to a socialist. In their own words, the Democratic Socialists are seeking a government takeover of private enterprises and a reallocation of work to meet their own view of equality and justice. If free tuition is a societal benefit, why not make everyone pay for it? See the socialist manifesto above. Moving such radical viewpoints into positions of power would be destructive to the American economy and impact every American. The Democratic Socialist politicians stand against Israel. Rashida Tlaib from Michigan is a promoter of the BDS (Boycott, Divest and Sanction) movement against Israel. Alexandria Ocasio-Cortez has said that Israel occupies Palestinian land, “massacres” Palestinian protesters. Sarah Smith believes that Israel should not be allowed to curtail Hamas’s import of weapons into Gaza. Khader El-Yateem, who ran for City Council in New York was also vocal advocate of the BDS movement. “1. Democratic Socialists of America declares itself in solidarity with Palestinian civil society’s nonviolent struggle against apartheid, colonialism, military occupation and for equality, human rights, and self-determination. The platform did not speak about any other country – not Iran, Saudi Arabia, Turkey or North Korea. The entire DSA movement is infected with an anti-Israel animus. It even gets into college campuses. On November 8, 2018, the Democratic Socialists of City College in New York City will be partnering with Students for Justice in Palestine, a noted hate group. 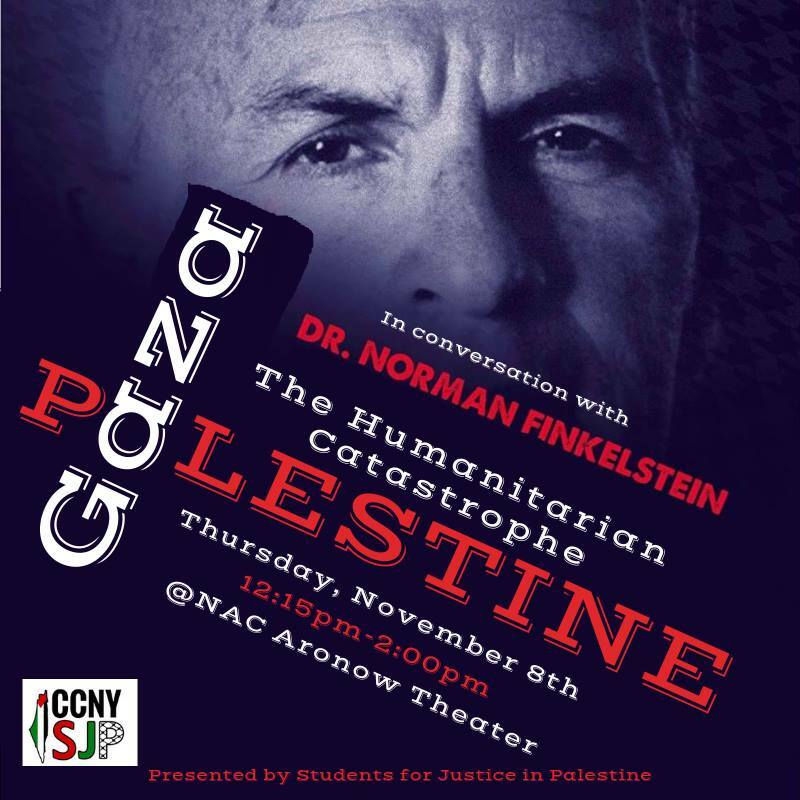 Together, they are sponsoring a talk by vocal anti-Zionist Norman Finkelstein. SJP doesn’t just dislike Israeli policies. They don’t only want to see the destruction of the Jewish State. They want to see Jews and Israelis killed. 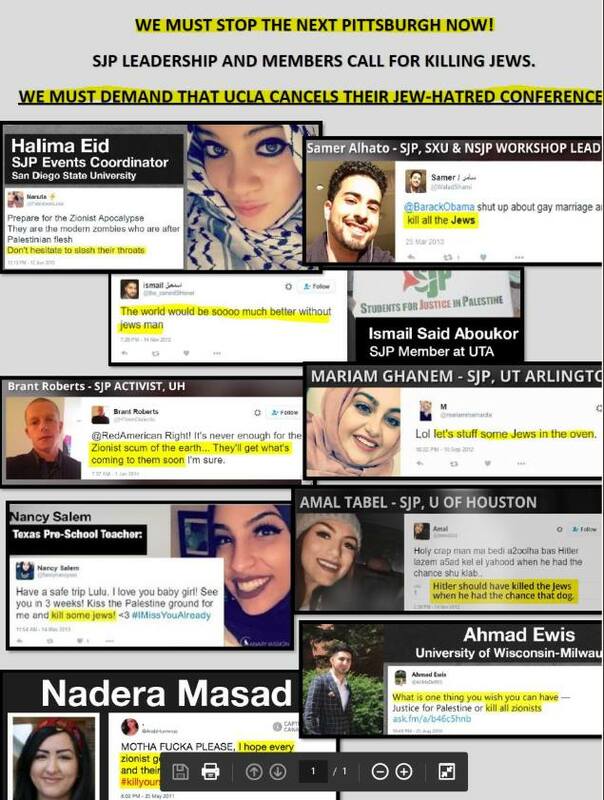 Members of SJP should be arrested and charged with hate crimes and incitement. But the members of the DSA are actively associating with it. The Democratic Socialists are the worst thing to happen to the Democratic Party. Should they be elected, it will begin the unwinding of the greatest countries in modern times.